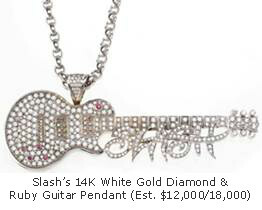 On March 26th, the personal collection of former Guns N' Roses and Velvet Revolver guitarist Slash will hit the auction block. 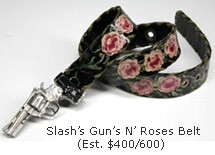 The auction will be conducted by Julien's Auctions and includes a wide array of memorabilia from Slash' Hollywood Hills residence. 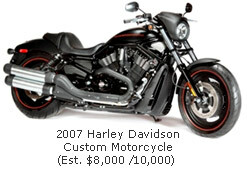 Part of the proceeds from the auction will benefit the Los Angeles Youth Network. 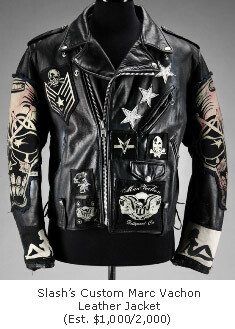 The collection has been set up in an Exhibition fashion since March 5th in order to give fans an up close glimpse. 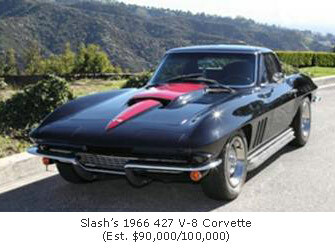 The final day to view the collection is March 25th, with the auction set to take place the following day. 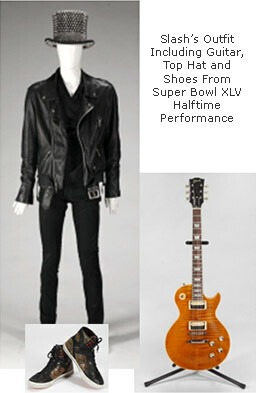 Below is a glimpse at some of the legendary memorabilia fans will have a chance to bid on come March 26th. 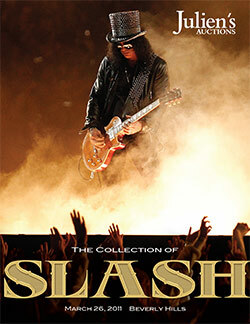 For more information on the Slash Collection, visit the official Julien's Auctions website. Kordell Stewart Pittsburgh Steelers Autographed 8x10 NFL "Slash"